• If God is real, why does he feel far away? • Can I ever get past the dos and don’ts of church? • Why should I even try to follow God when I fail so often? • How do I experience a relationship with Christ that’s more than surface level? • Is it possible to have authentic faith when I have so many doubts? • How can I connect with others who take firsthand faith seriously? 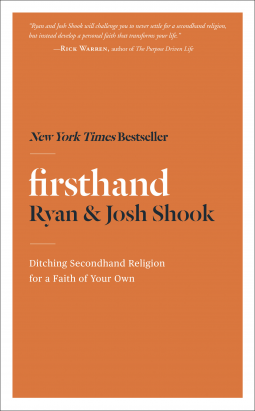 In these pages, Ryan and Josh Shook talk candidly about growing up in church only to realize that “how things are supposed to be” had stopped working for them. They set out to find what makes a young person’s faith stick—or not. Each chapter is designed to spark a discussion, and comes complete with personal inventories, Bible teaching, small-group discussion questions, and links to original video.